Shake hands with 2 people you have not talked to yet during the service. Each of you share a praise report- something you are thankful for- big or small. CLOTHESPIN TAG – Mark off a designated play area by putting rope on the ground. All players are to receive 5 clothespins. They are then to pin them to their clothes. Have them all spread out around the edge of the rope before starting. The object is to pin your clothespins onto the other contestants. Once you are clear of all of your clothespins, you can then go to the designated “Safe Zone.” At the conclusion of this activity you will have two or three people covered in clothespins. This is a hilarious and high energy activity. 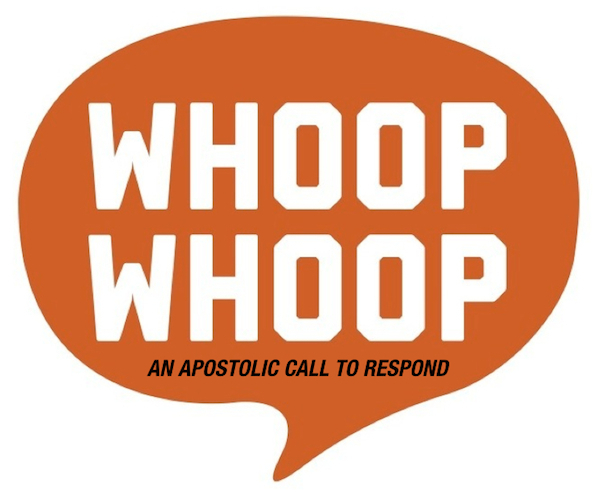 Bobbi’s AHA is – pastors/ leaders are so busy suppressing their own feelings/ grief, etc… To help others. This can be dangerous because the more a person neglects his or her own self care the greater the opportunity the enemy has to set traps that we will fall into because when you are exhausted you do not make the best decisions. The devil is intentionally setting traps for our pastor. We MUST pray for him. David leads . 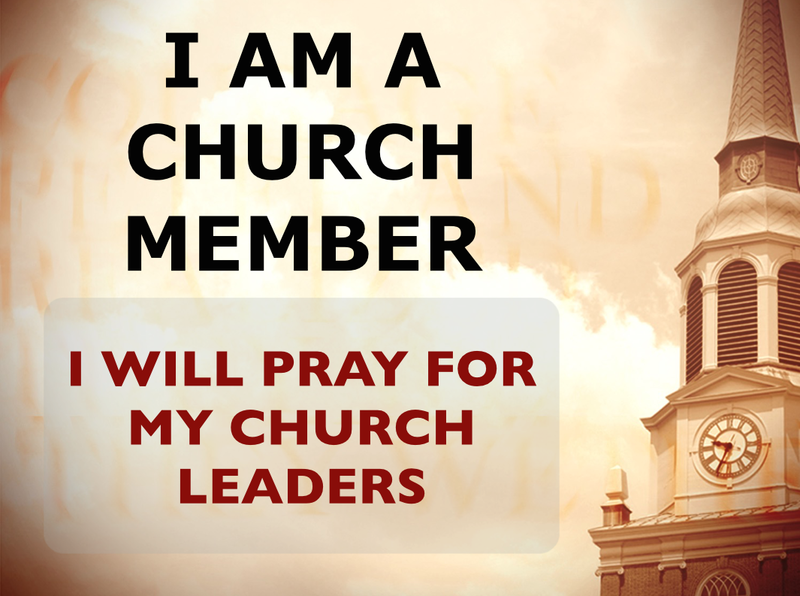 . .
1) PRAYER FOR LEADERSHIP – We have Pastor and Sis Haner come sit on a chair (maybe family too). We actually pray for them. REPUTATION – Ecc 7:1 A good name is better than precious ointment. PHYSICAL HEALTH – 3 John 1:2 Beloved, I wish above all things that thou mayest prosper and be in health, even as thy soul prospereth. 3 For I rejoiced greatly, when the brethren came and testified of the truth that is in thee, even as thou walkest in the truth. 4 I have no greater joy than to hear that my children walk in truth. MENTAL HEALTH – Romans 12:2 And be not conformed to this world: but be ye transformed by the renewing of your mind, that ye may prove what is that good, and acceptable, and perfect, will of God. WISDOM – Exodus 31:3 And I have filled him with the spirit of God, in wisdom, and in understanding, and in knowledge, and in all manner of workmanship. DISCERNMENT – Malachi 3:16 Then shall ye return, and discern between the righteous and the wicked, between him that serveth God and him that serveth him not. PEACE – Romans 15:13 Now the God of hope fill you with all joy and peace in believing, that ye may abound in hope, through the power of the Holy Ghost. By the end of this prayer activity we have added these words with a scripture on the vest and prayed specifically about it. Bobbi leads . 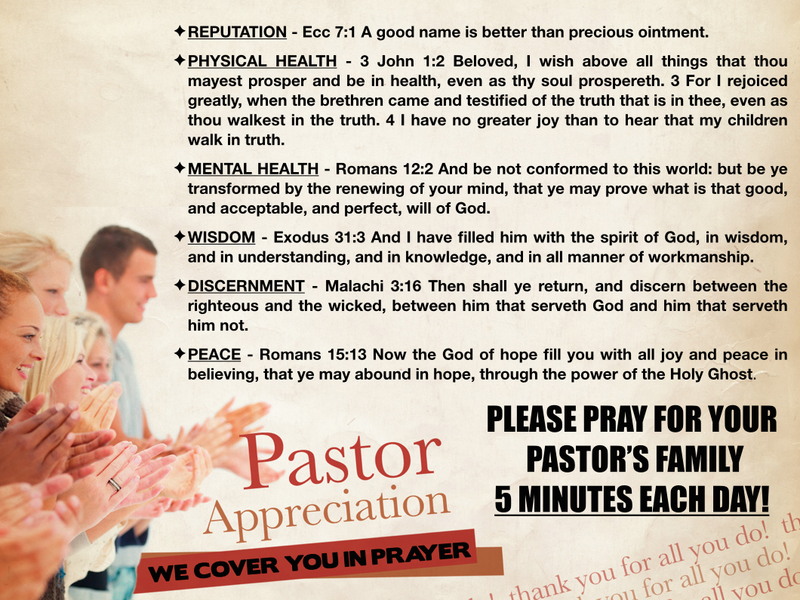 . .
We must commit to praying for our pastor and family everyday for at least 5 minutes. Send them home with a postcard or flyer or one pager of all the scriptures/ words we ended up putting on their vests. Posted on September 21, 2015, in I Am A Church Member - Series, Ministry Monday and tagged church member, preaching, preaching series, sermon, Thom Rainer. Bookmark the permalink. Leave a comment.